Disclaimer: The views expressed in this presentation are solely those of the interviewer/interviewee and do not in any way represent the views of the Holywell Trust, its partners or their funders. With a month to go until the UK withdraws from the European Union, Gerard Deane and Paul Gosling return to discuss the possibility that we may not be leaving on schedule after all. Theresa May, whom Gerard met with recently, has been discussing possibly extending the deadline to withdrawal until June, whilst Labour has come out in support of a second referendum. Both discuss this and other news items such as Potential food tariffs, slow economic growth, but high employment and and costs for international banks in moving presence to other capitals. Our guests this month include Mark Durkan who reflects as former long standing MP on the Westminster chaos; Anthony Soares and Emma de Souza considers the impact on the GFA. Paul also fields a question from our listeners regarding the All Ireland Free Travel Scheme and bus companies in the Republic of Ireland not accepting Senior Smart Passes as drivers are unaware of the cross-border arrangements. 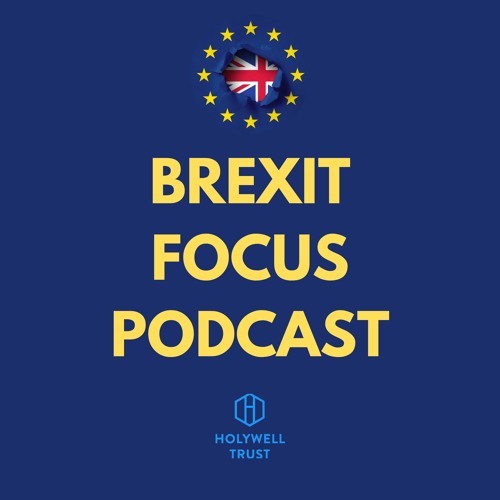 Never miss an episode of the Holywell Trust Podcast, the Holywell Trust Testimony series or Brexit Focus Subscribe to us on Apple Podcasts https://itunes.apple.com/gb/podcast/holywell-podcast/id1229484179?mt=2 Follow us on Soundcloud https://soundcloud.com/user-743120821 And you can now listen to the Holywell Trust Podcast and Testimony series on Stitcher Radio http://www.stitcher.com/podcast/dee-curran/holywell-podcast Please feel free to comment on our Apple Podcasts, Stitcher and Soundcloud pages and don’t forget to rate the programme. Thanks for listening and sharing the links.